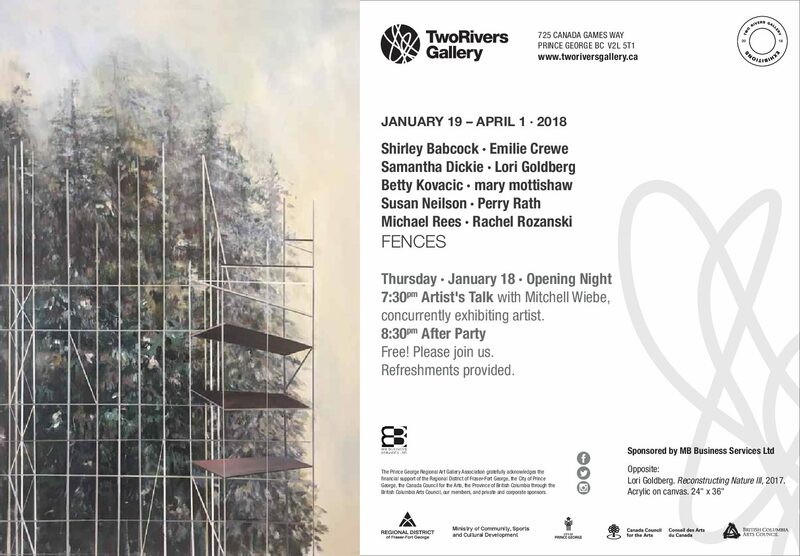 My work has been juried into an exhibition at Two Rivers Gallery in Prince George along with other artists of all disciplines across B.C. Opening night is January 28. The exhibition runs until April 1, 2018. If you are up in Prince George, stop in to see the show and send me a note with what you think.